Ever since I watched a TV documentary on the use preservatives in our food and their effects on children 6 years ago, I've been more vigilant checking the labels on the back of everything I purchase. I'm just gobsmacked at some of the ingredients of the pre-packaged food in the supermarket. I can barely pronounce nor comprehend the words which seem very similar to a science experiment. Take sausages as an example. With the exception of organic sausages, most contain sodium nitrite, used as an additive to prevent bacteria growth and extend the shelf life of the food. If one digests a mere 4.6g of sodium nitrite, it will result in death. I know I'm giving the worst case scenario but it's an indication of how much additives we're exposed to these days. Now that I've switched to fresh and more often than not, organic produce, it's time I do the same for my toiletries and skincare. Paraben, sulfate and silicone are three common ingredients used in shampoos, skincare, cosmetics and practically any kind of items you see in your bathroom. Paraben is sometimes known as E214, E216 and E218, along with sulfate have been linked with breast cancer although experts are quick to point out that the findings are inconclusive. I've got a child who needs me so I'm not taking my chances in having more dangerous chemicals leaking into my body. Thus, began my quest to find hair and bath products that are free of these 3 chemicals. Sodium laureth sulfate or commonly known as SLES found in most soaps, showergels and shampoos is also used to dissolve grease on car engines. That's what we're rubbing into our skin everyday. It is absorbed into our skin and mimics the activity of oestrogen. In short, cancer. I.
I went around my bathroom recently and read the label of every product there. Sure enough, 8 out of 10 contains all 3 chemicals. Don't be fooled by the promises some of these purportedly "natural" companies make. Body Shop and Apivita are two companies that profess to be "natural" and in the case of the latter, "holistic" but both use paraben and sulfates in their products. The same goes for a few companies that use the term "organic" which may only apply to a percentage of ingredients used. I would strongly suggest you check the label of every product before you purchase. I've compiled a list of inexpensive products that do not contain paraben, sulfates and silicone. I've broken the post into two parts with shower gels and skincare featuring in the next post. I'd love to hear any recommendations that work for you. Hubby and I looked into this when I was pregnant a while back, you'd be surprised at some of the stuff out there that claims to be "natural" when they are the worst offenders. We have a lot of luck shopping at Whole Foods. There's a whole section full of nitrite free meats. As for skin care products and the like, I am still trying different products and haven't found anything I just love, so I'm looking forward to your list of recommendations. Engineering Fashionista, I know what you mean. I'm just appalled when I recently checked out the labels of some of the "natural products" I'd bought for my 5 year old. I haven't been to Whole Foods in a long time as there's only one store here in the UK. M, this is so interesting. I purchase organic fruits and vegetables, but I need to do a better job with other products. I am so glad you are informing and most importantly educating your readers on this. It's so important. Important for our health and well being. Thank you for providing a list of products. I look forward to reading your next post regarding this. Indeed a very interesting post, I've seen an interesting video thats touched on this topic http://www.storyofstuff.org/movies-all/story-of-stuff/ and it shocked me when it told me that the food with the most toxins is human breast milk. Also its so true about the abundance of these "natural" products which are not as they seem. Last year I discovered my facial skin started to have an allergic reaction to sodium laureth sulfate and had a hard time trying to find a face wash that didn't contain the chemical, but was saved by the skinfood range which dont contain any of those 3 chemicals. Mildred, I'm actually shocked to hear about the toxins in breast milk! Goodness! After spending hours and hours looking at dozens of skincare products, I've noticed that there are more and more options out there that do not have these 3 chemicals. I'm glad that more and more people are opting out of mass produced goods which are cheap but dangerous for our health. I've been recently obsessed with using organic non toxic hair products too - it's hard for me to give some up honestly cause it's so much pricier..I'll be interested to hear the results! I can't find any of the products you posted locally. Not a very big fan of our Apivita (except their moisturizing oils that are in fact really natural and quite good), and I'm not impressed with Korres shampoo either. I have to keep searching I guess. On food: I never buy prepackaged food, I stick with open air markets, and focus on local organic and seasonal food. This way I support the local farmers/businesses, do something good for the planet and take care for our health. Lily, most of these websites ship internationally. Feelunique and a couple of others offer free worldwide shipping. I'm a fan of Korres products but most don't work on me. 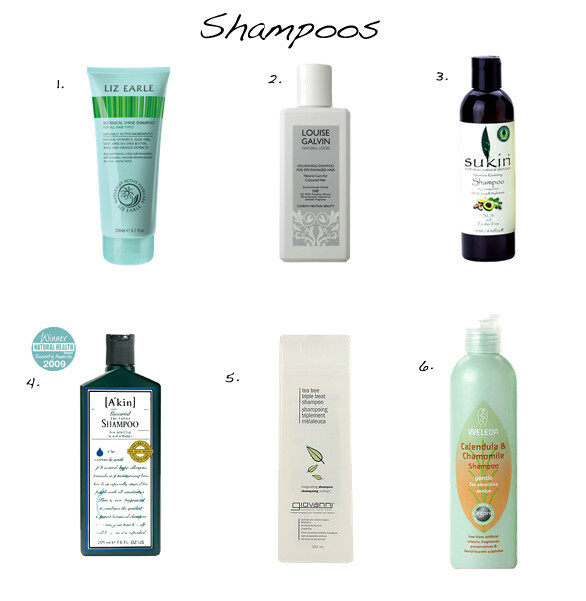 Although some are paraben free, most contain sulfates. I was about to buy Korres! Looks like I better change my option. Korres has many wonderful products, but Shampoos and Conditioners are not their strong suit. Buy a lip balm though they are good, cheap, smell heavenly and last forever. M, perhaps I will stock in natural products on Spring when I come to UK, I can't justify the shipping fees if a product doesn't work for me. I will try them out during my visit and see how it goes. Lily, I'm a huge fan of Korres. However, I've noticed that though their products are paraben free, they still continue to include sulfates in their showergels and lotions. A shame really as I love their Jasmine body milk. I use Louise Galvin's deep conditioner for fine hair, it's fantastic stuff and works so well on my hair. Great article M. It's so important that people are made aware of the misleading naming on items and the real detriment they cause. My brother is a huge devotee of reading labels and trying to reduce all the toxic products in our family and thankfully so. I noticed how well you did with your choice in food and cooking. Such a good thing to be mindful of especially with little L.
Strangely I am particular with what my kids use/eat. But I don't pay that much attention to myself. I've heard this brand was created by the founder of Aveda products. I haven't yet tried them myself, but they do seem conscious of avoiding all those ingredients you listed, and more. I've never heard of Intelligent Nutrients but I'll definitely check it out. Thank you for bringing it to my attention. Thanks so much for doing the research and providing this info to your readers. I really try to be aware of what I'm using and ingesting, but it still frustrates me to no end that we can't trust how products are labeled. "Natural" means natural. Except it doesn't in the current market. Ugh. All the more reason I appreciate when others (like you) can share insight and recommendations for others without making them feel silly. Thanks, girl! What a sweet thing to say, Natalie! Thank you. This is an area where we can all improve our awareness, thanks for posting . the skin is the body's largest organ , and its efficiency in absorbing chemicals is terrifying . I started using a 'safe' deodorant [pitrock] many years ago, as usage of deodorants containing aluminium has been linked to a higher incidence of breast cancer in women .Well there has clinical trials to prove anything on this , but I'm not taking any chances . I'm off to check my shampoo [ Kiehls] now !! This is one of my passions! Our entire home is non-toxic. I buy Shea Naturals shampoo for the kids and toothpastes by Tom's or Jason. We use extra virgin coconut oil as a moisturizer and just Vaseline for an eye makeup remover and lip balm. I even make my own face serum with almond oil as a carrier, mixed with a blend of essential oils for my skin issues. My face toner is a blend of brewed green tea, apple cider vinegar and water. It's sad that companies like Body Shop and Kiehls are some of the worst offenders! thanks for the list! I def need some none chemical shampoo I think and Aveda is quite expensive for the amount you get! and haha ya I agree if you have someone who has a good eye taking the picture the picture will be better than someone who doesn't know anything but with a $5000 camera! M! Thanks for the list! I've already tried Giovanni - my mom got it for me to try! I've started using "non-toxic" skincare products too. Currently, I'm using Tata Harper. It's a little pricey though. I may try a different brand when I'm done because it's not cutting the mustard for my dry skin. This is a great post Marlene. This kind of awareness was brought to my attention about 4-5 years ago when I was randomly browsing at a bookstore. I came across this giant book which talked about the unseen dangers of chemicals used in personal care products and it listed brands on the market. I remember going home tossing almost everything in my bathroom..lol. That also led me to discover "EWG" which is an Environmental Working Group. It is an excellent source and my go to resource. I try to use products with minimal ingredients. I usually buy them from www.gardenofwisdom.com, http://ingredientstodiefor.com/, the organic pharmacy, kimberly sayer or 100% pure. I try not to put too much stuff on my face and avoid products with long ingredients list (organic or not) especially stuff like SLS, parabens, fragrance etc. Even if it's all natural does not meant that it is safe to use. For starters, I cannot apply anything lavender on my face. My whole face will become red and swollen (like a pig's head!) when I used lavender based products. And I react badly to synthetic sunscreen too...the list goes on. Thanks so much for this post. Last year I tried eliminating endocrine disruptors from my beauty regime. In Norway, we have an amazing app for iPhone that makes it possible to scan your products for bad ingredients. Marlene - this is a great post, thank you! I would love to hear others experiences and recommendations. I buy only natural earth-friendly products for my home - Costco makes a really good lavender laundry detergent and citrus body wash that are natural and bio-degradable. We are not 100% orgainic with what we eat but I do my best. My children drink lots of milk and that is always organic. My problem has been finding natural products that perform well. Please give some suggestions for shampoo/conditioner for color treated, fine hair because I haven't found a good one yet. Maria, there are good reviews for Burt's Bees as well as Giovanni range of shampoos. I've just ordered a bottle of Burt's Bees shampoo along with the conditioner. I'll let you know once I've tried them. Tabitha mentioned that Louise Galvin's conditioner for fine hair is good. I'm not sure if the range is available in the US but the products are very reasonably priced. Thank you so much for this very interesting and important post. I am buying more and more organic food and I do pay attention to the toiletries and skin care products as well. Especially because two of my three children are allergic and have eczema. I'm looking forward to read the next posts on this topic! Another wonderful post. It's really appalling what's in our products. I'm really picky about what I eat (very strict vegetarian with a lot of locally grown foods and very little processed foods) so I feel like this should extend to my beauty products and clothing detergents as well. I rely on my hair stylist for shampoos and conditioner. They're blended with all of these wonderful organic things. I'm into oils- argan, tea tree and rosemary. Weleda makes a wonderful rosemary oil that hydrates. There's always room for improvement, so I love hearing about new products. I stopped using SLS shampooa a while ago and use the Liz earle shampoo now, it's amazing, no more red irritated scalp for me!